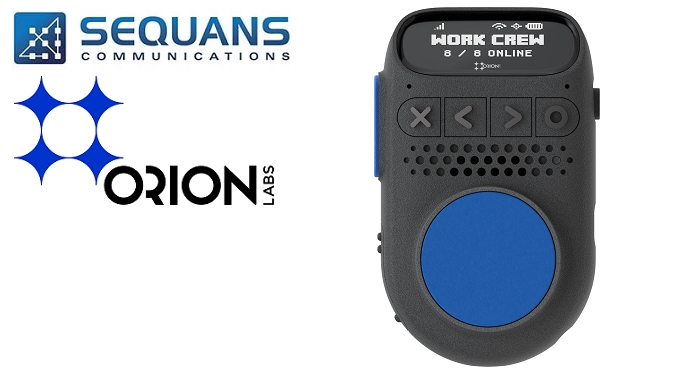 Sequans & Orion Labs, under their strategic partnership to build wearable devices, have released the first LTE-enabled Orion smart walkie-talkie, called Orion Sync. Orion is using Sequans’ Calliope and Monarch LTE Platforms, members of Sequans’ Streamlite LTE family of products for the IoT. Calliope is optimized specifically for LTE Cat 1 applications needing up to 10 Mbps of throughput, and Monarch is optimized for LTE-M and NB-IoT applications. Orion Sync was showcased at Mobile World Congress Americas 2018 in Los Angeles earlier this month.